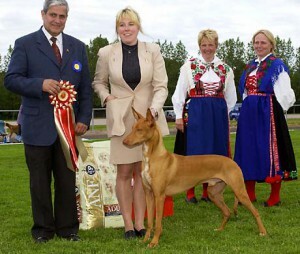 Nordic Winner show all breed! Judge Dr. Göran Bodegård, sweden. 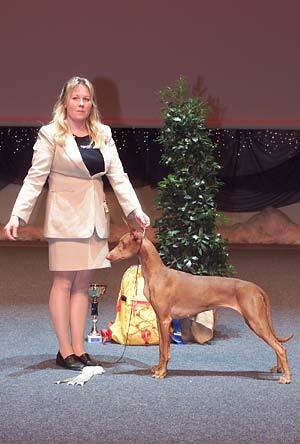 Juno was BOB and I handled her in the group final to 2 place! 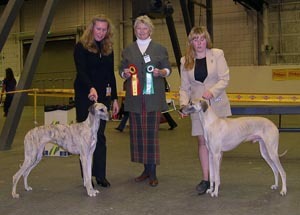 There was 12 breeds in the final. Judge BOB Rudi Brandt, Denmark. Judge BIS Nina Karlsdotter, Sweden. Ghania was BOB and BIS!! 2003-06-15 Avesta SKK all breed show. BIS Norman Huidobro Corbett Spain. Dortmund Germany World Dog Show!! With World winner titel and his last CACIB. 2003-04-27 Västerås SKK Int. 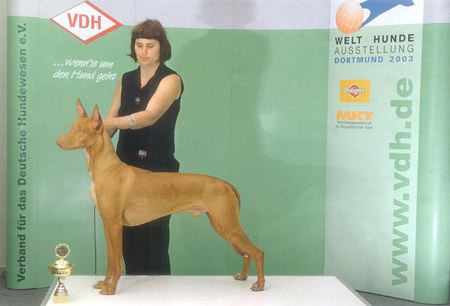 all breed show. Tirith was BOB and groupwinner!! 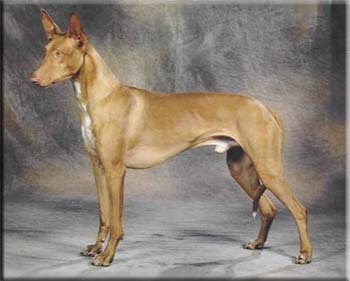 2003-03-29 Timrå, Sight hound special. (Faouziah’s Bastet) who was BOB and BIS! 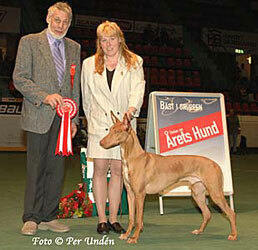 2003-03-22 Köping, Sight hound special. Tirith was BOB again on this show. 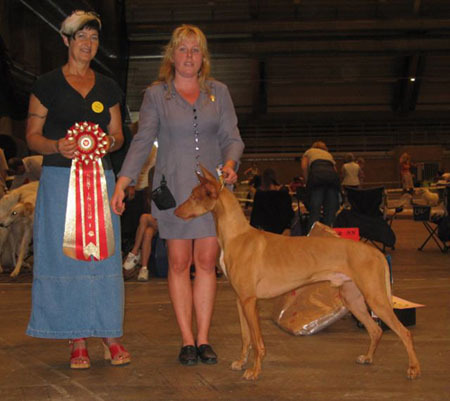 Tirith was 2 in open class. I´m so happy for all the good things people come and told me about Tirith. Thank’s to all of you!! This tripp to Cruft´s was very nice, we have good company and very fun. who loves pharaoh for lunch outside the ring. That was a very good ide’, to unite all the pharaoh people! Antefa´s Minas Tirith was BOB. Tillieville Zoot Allures was BOS. BOB was Rahina who ended up us group-4! What a weekend!! Thank´s to everyone who congratulated us!! And offcourse thank´s to kennel Antefa who let me c/o own Tirith! !